Product information "Ultraframe Gable End Conservatory Ridge Kit"
Made by industry leader Ultraframe! Complete gable-ended conservatory ridge capping, offering long-life performance with great resistance to UV discolouration. Highly effective solution for sealing leaking ridges of uPVC or timber conservatory roofs. Part of the Ultraframe Classic roof system, this kit is a natural replacement product for ridge of Ultraframe Classic roof. 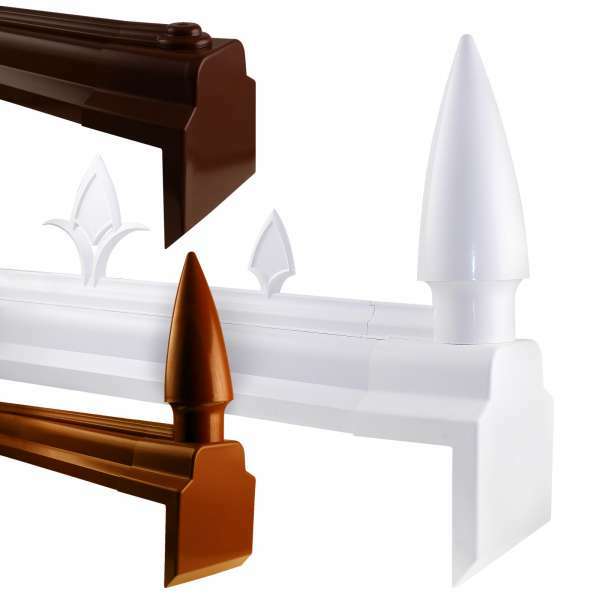 Can be used effectively as capping for timber and other uPVC roof systems. Low Maintenance - easy to clean, even the cresting! The ridge is the lynch pin of a roof, so it deserves the best. This Gable End Ridge Kit uses parts approved by the British Board of Agreement (BBA) and which form part of Ultraframes BOCA approved Classic conservatory roof system. So you know you are buying parts that have been well manufactured with quality materials. This attention to detail goes as far as the use of special resins and stabilizers in the production of the uPVC that help to protect against discolouration caused by UV light from the Sun. Fitting the Gable End Ridge Kit is fairly straight forward and requires just a small selection of basic tools. However, as with any work carried out at a height, great care should be taken. The roof should be prepared first with flashing applied, if required. The ridge is then prepared, which includes cutting the Ridge Top Capping to length and fixing to the Gable End Capping and Ridge Flashing Trim. The complete assembly is then offered up to the roof and secured with either the supplied Ridge T Bolts or screws. 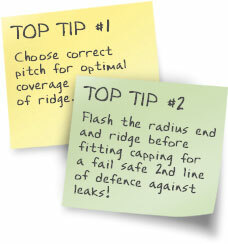 The Gable End Ridge Kit includes a Fitting Guide that provides some helpful pointers to help you assemble and fit the ridge. Related links to "Ultraframe Gable End Conservatory Ridge Kit"
Customer review for "Ultraframe Gable End Conservatory Ridge Kit"